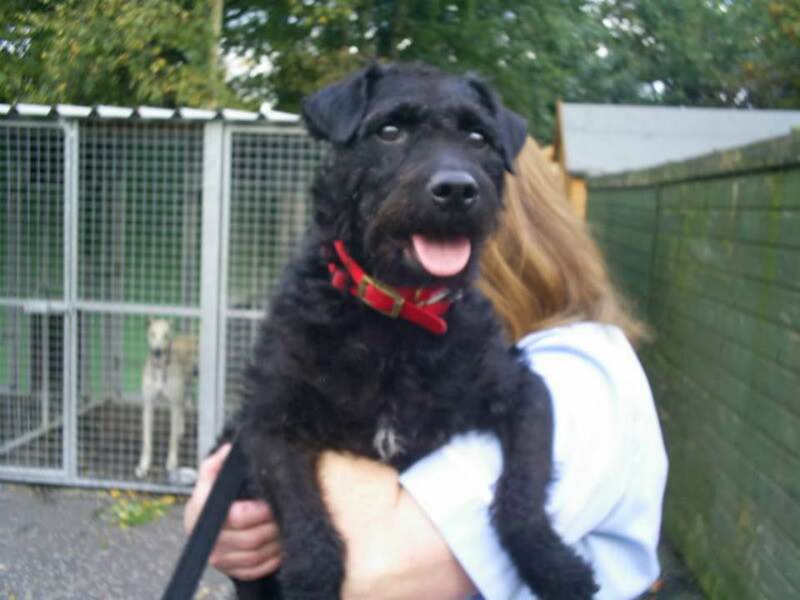 Fifi is a Patterdale Terrier. She is very vocal and loves toys and playing. Just like the typical wee Terrier she is into everything! She is happy to sleep in her crate. We don’t think she has been around other dogs very much, so she would be have to be the only pet in the household. She must be kept on a lead unless in a totally secure garden or exercise area. As we do not know how she is around children she would not be homed with children under 14 years of age.